The race to Mars is not without its peril. As the world’s superpowers vie for supremacy in space, the true intent of the aliens, and the ultimate destiny for the human species, is revealed. Can the world marshal the will and resources of its people to strike back and take control of its own fate? 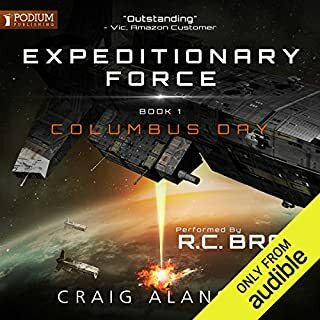 Can NASA, led by Richard “Rock” Crandon, and America’s adversaries find the ultimate courage to face what lies at Discovery’s End and save the world? Black Infinity is the nail-biting conclusion to the Discovery Series. Great series overall, but the ending is flat and rushed compared to the other books. This book had some excellent plot ideas and did a great job of keeping the story moving forward, but it desperately needed some editing work, more time for character development, and a much more developed conclusion. Congrats to Mr. Mercer for finishing the series. In all, a fun romp through space with some original ideas. Black Infinity is the 3rd in the Discovery Series Trilogy, and continues the thrilling story of what started as a cryptic clue on the Moon, a space race between the US, Russia and the Chinese, and ultimately the discovery of Alien presence on the Moon. Even though the Chinese tried to destroy it with a nuclear device to prevent everyone having it, the US managed to gain access, and this led to a further space race to Mars, where there is another Alien Device meant to be located. 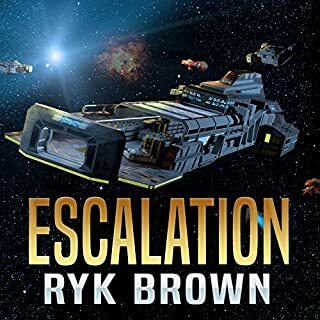 Book 2 covered a lot of the race to Mars, as well as the Military and Political games that are in full stride between all 3 nations, and this continues in Book 3 – Black Infinity. Black Infinity continues to revolve around the same main characters, the NASA team on Earth, the crews of each of the respective ships for each Country, as well as the behind the scenes players for the Political games that are being played within the US, Russia and China. 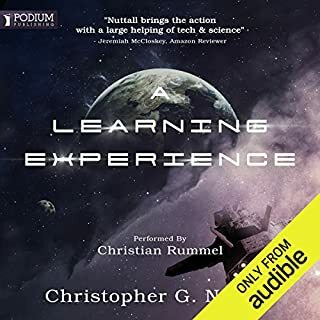 The Author has created a very realistic environment, both with the space scenes and each of the individual countries political theatres as they argue out the various policies, ideas and concepts. It is obvious that a lot of research has gone into this book to give it this realistic edge. In Black Infinity, the Alien objects also take on a greater meaning, and it is in this book that things are finally explored and explained in much greater detail, providing some very thrilling and dramatic chapters. This is a difficult review to write without giving away too much information and spoilers. However, it is safe to say, that if you have read the first 2 books, you will love the last book in the series, as it is probably the best in the series. The Author goes all out with the sheer intensity of capturing the Political engagements, and the Military engagements that occur in space. With the Special Forces included on-board the ships, it makes for an even more exciting Mission with the Russians and the Chinese. This is an exceptionally well written story, the character writing is outstanding, and you will not be able to put it down. If you have not read this series yet, Go Back to part 1 Lunar Discovery, and enjoy this incredible series. 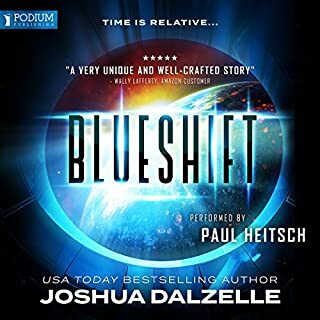 It is well worth the read for anyone who likes a good Sci-fi thriller, or even just a Political thriller that has a Sci-fi theme. 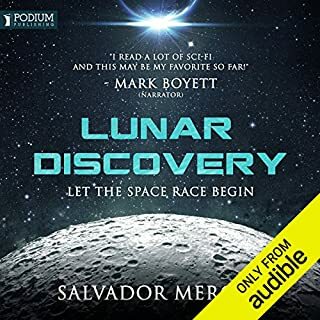 Mark Boyett seems to me to be somewhat of the underdog of Sci-Fi Narration, there are a lot of other names that are mentioned, but for some reason I don’t read his name that often, and yet, I continuously listen to exceptionally narrated books by him. Boyett has a wonderful range of voices, as well as a very nice voice to listen to. More importantly, he is clear and easy to understand. The Audible version of this book is exceptionally well done, bringing to life what is already an outstanding story, but Boyett makes it his own, adding to the tension, when you are reading about the scenes with the President and her advisors, Boyett conveys the tension, stress and fear of each of the people at the meeting. I would suggest that this is one of those books in which the Audible book adds a slight edge to the story purely because of the Narrator. Outstanding effort by both the Author and the Narrator. A long time coming but worth the wait. was beginning to wonder if a third book from this series would ever arrive. Outstanding story and narrator. 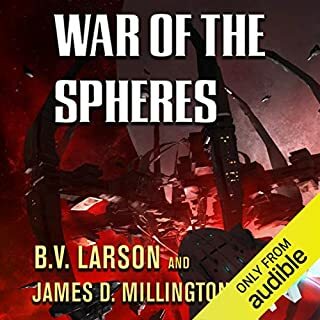 I had read or listened to the first two in this series then I listened to Black Infinity and found it to be one of the best science fiction books I have very read. WOW! I listened to it 3 times. Then went back and listened to the first two again! If you have not started to listen to these 3 books written by Salvador Mercer do it now. 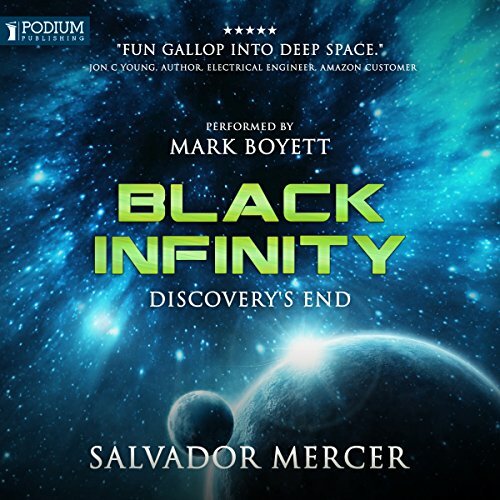 Mr. Mercer, it almost seems that Black Infinity is the last in the series? I hope it is not. This story needs to be followed through, in the last part of the book you tell of, what would be the ending of the jellyfish race. There is soo much more to this story to be told. Give us more. You can do it by having the closing that you wrote, being a dream sequence! WHAT DO YOU THINK! We want more. Outstanding from the beginning to the well crafted ending! Narrator was great throughout as well! I loved this one for the ending of the series. The characters were great and the store line was not always predictable. Thank you so much for a great read.. Overall very good series with in-depth politics and well presented obstacles. The conclusion I found to be very, very lacking. Four years of work as the story unfolds and the ending gets 1-2 paragraphs. I would have given a higher rating for a better ending. The ended was to quick. A fourth book could have been developed so the ending wasn’t so rushed. Overall the trilogy was great books 1 and 2 were better and more believable, the actions of the world to Chineses acts of war would have been harsh and permanent. The last book was a little lost in the plot and felt like the author wanted to get to the end of the trilogy without over thinking it. The performance was great as per the first two books but the story was not finished but I would expect it leaves the door open for another series moving the characters on to bigger and better things.